To avoid the issue I had last time (in which Mr. 5STAR beat me to the punch of posting my review of something), I’m writing this a few days in advance and setting it to post at midnight the day of the release, so NO ONE will steal my thunder! With that being said, let’s move on to the review, shall we? Over the last few months, you have no doubt noticed an artist by the name of Riley making his presence known on the site. The first thing we had to give you was the Collapse EP, a cornucopia of rock-themed instrumentals rocked over by an uniquely-voiced artist. Then came a plethora of singles, followed by a few leaks from an upcoming project. Well, ladies and gentlemen, this is that project. Nobody’s Perfect is Riley‘s official foray into the world of hip hop, as we seem him trading in his guitar for a synthesizer. 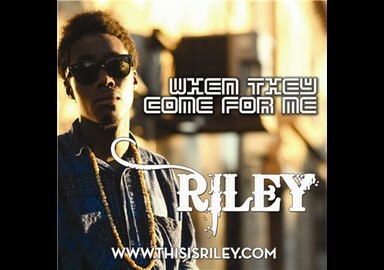 Riley chose to go with more of a traditional hip hop feel with this one, and it works exceptionally well. I think I enjoyed this much more than his Collapse EP, mainly because he seems to find his niche in this work of art. While I criticized him for not exactly sounding at home on some of the leaks, the majority of the tape finds our artist spitting absolute fire with ease. The track offering is diverse, with slower songs such as I Breathe juxtaposing perfectly with faster-paced offerings like No One Understands Me. Riley definitely had a lot of fun making Nobody’s Perfect, and this feeling really shines through in his lyrics and tone of voice. The tracks are all incredibly well-produced, with the beats sounding clean and snappy and Riley‘s vocals pump through the stereo as if he is sitting right next to you. The overall project is frustratingly short, as the songs often leave you begging for more. Bronx-based Riley let loose his latest mixtape Nobody's Perfect a couple days ago, and as a follow up to his Fall compilation the Collapse EP, this bit's a fantastic compliment. The array of music we've featured thus far paint a diverse picture of musical interests and experimentation, ranging from the rock or pop-fused production of Collapse to the more traditional hip hop flavor of this latest piece. (Songs Played On DTFRADIO) Music Video For Two Songs Off This Project, "Give God A High Five/Todays A Good Day"
Music Video For Song Off Project, "You Are Mine"
Released Promo Single "When They Come For Me"
Denard Timarley Riley was born on February 22nd, 1985. He has a twin brother named Denardo grew up living the life of an army brat, constantly moving from place to place. At the age of 18 he collaborated with some friends and created a “diss” record aimed toward other rappers on his block, jokingly of course. While all in good fun, D. Riley soon learned from this experience. He realized he loved making music and wouldn’t stop until he’d create the perfect sound. When he met Henry Da 9th, a producer from New York, he began taking music more seriously and considered it a major part of his future. He then formed the PLEH! Squad with Denardo (Aceteria!) and his cousin Tristan Parris. They collaborated and released a numerous mixtapes locally which quickly became popular around New York. After a two year break from PLEH!, D. Riley has begun his journey as a solo artist with his new project “Finally Say Finally” which is available for you to download now for free. He is now working on next EP titled “Collapse” which will be produced by Henry Da 9th.